Ever since the Reserve Bank of India released a revised set of guidelines for prepaid payment instruments and e-wallets earlier this month, there is a raging debate on certain provisions introduced in the new rules. While a section of industry insiders welcomed the central bank’s move to allow interoperability and introduce stricter KYC norms to prevent fraud and foster competition, some, including the Payments Council of India, have written to the RBI seeking a hearing on certain issues, which they say could severely cripple the industry and make the mobile wallet business unviable. 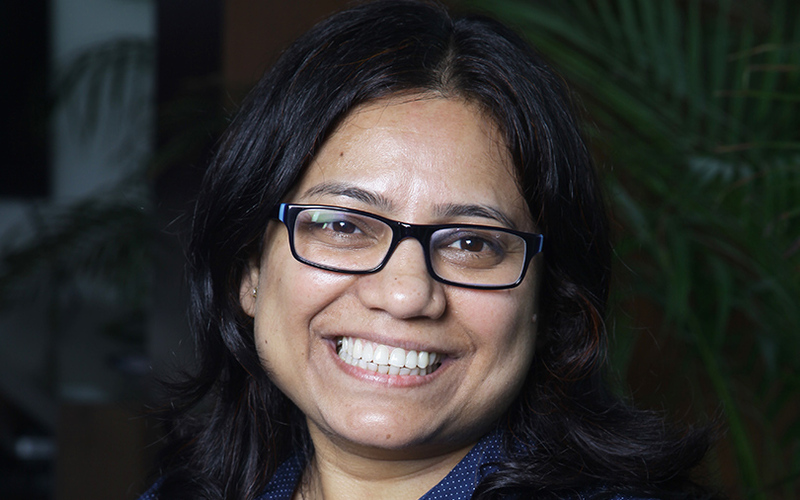 In an interaction with VCCircle, Renu Satti, managing director and CEO, Paytm Payments Bank, shares her views on the new guidelines and how the company plans to adhere to them. What is your reaction to the RBI’s directions governing PPIs and mobile wallets? The new guidelines clearly show that the RBI considers pre-paid instruments as a long-term business, which is integral to the Indian financial ecosystem. We believe Wallet KYC is a great way to ensure safety and security of financial systems. With that in mind, we are building a fully biometric Aadhar-compliant KYC network. We are India’s largest wallet company, and our large-scale KYC customer acquisition will now make us the country’s largest KYC wallet company. Several digital wallet players see the new KYC norms as a major concern. How do you see this directive? How is Paytm planning to fulfil the requirements? We strongly support the RBI guidelines, as we firmly believe that KYC is important for the security of financial systems. It will also ensure only serious players are a part of the financial market. We have expanded our KYC network ahead of these guidelines, and our goal is to acquire half a billion KYC wallets over the next three years. We have a team of 10,000 personnel that is aggressively reaching out to our customers for KYC. We are also hiring an additional 10,000 to scale our operations and getting ready with more than 100,000 banking outlets and KYC points to expand our network across the country. This will ensure we continue our dominance as the leading wallet and payments bank in the country. Do you think the new KYC norms would shoot up the operating costs of digital wallet players? If yes, how much is Paytm expected to spend on this exercise? A single KYC done by us will be valid across the wallet, bank and financial services. This will give us significant edge over standalone wallets as we can offer 4-6% returns to customers opting for our wealth management solutions. Additionally, while the cost of customer acquisition would rise for all wallets, we can justify that cost by offering a full set of financial services, including wealth management and lending, as well as payments and deposits. We will be investing $500 million into KYC operations and customer acquisition over the next three years. Interoperability is being seen as one the most important decisions made by the RBI. What’s your view? Paytm has the most widespread acceptability across online and offline. We feel that interoperability is a great step for the overall ecosystem. Customers will now be able to transfer money into any wallet and make payments across merchants. One of your peer competitors has said that “the growth of PPIs per these directives will have a corrosive effect on payment banks, as their relevance depreciates further”. What is your take? Wallets are a great instrument for personal remittances, and the RBI’s new guidelines confirm that it appreciates PPIs as an important payment mechanism. The use-cases for the wallet and bank are distinct as customers can now experience convenient digital payments with the Paytm Wallet and earn interest on their deposits with their Paytm Payments Bank account. In the coming months, we will offer full set of financial services, including wealth management, lending in partnerships and payments, along with deposits offering that standalone wallets cannot offer. Do you think the stricter guidelines on a full KYC and the mandatory Rs 5-crore net-worth to gain a PPI license will close doors for new and smaller entrants into this space? The higher positive net worth for wallets is important as it will ensure only serious players are able to operate in this sector. As the money will now move across wallets of different companies owing to interoperability, the RBI would need that higher capital to support such transactions.